* Travel dates May 29-Jun 26. Fares updated on: 4/19/2019 at 1:25 AM. Fares are round trip. Fares incl. all fuel surcharges, our service fees and taxes. Displayed fares are based on historical data, are subject to change and cannot be guaranteed at the time of booking. 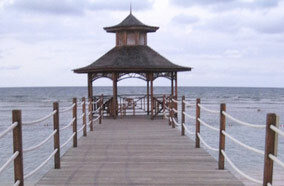 Montego Bay is a popular Caribbean resort in Jamaica. The city is a famous sun and sand destination in the region. Its gorgeous shorelines, unlimited adventure, and pretty attractions make it one of the most frequented destinations in the region. Some of the must-visits in the city comprise Bellefield Great House & Gardens, Sandals Cay, Aquasol Beach Park, Doctor's Cave Beach Club, and White Witch of Rose Hall. Several airlines offer seamless connections to Montego Bay from New York. Airlines like AirTran Airways, Delta Air Lines, Spirit Airlines, US Airways, American Airlines, and Air Canada re a few airlines that operate flights from New York (NYC) to Montego Bay (MBJ). 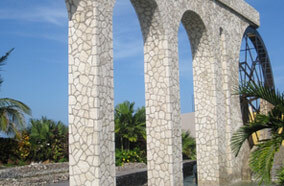 Montego Bay Airport is the only airport that serves the tourist destination. On the other hand, airports like New York La Guardia Airport (LGA), New York Newark Airport (EWR), and New York John F Kennedy International Airport (JFK) serve New York. Fare Buzz, the New York based Travel Management Company offers various deals, discounts, and offers from New York to Montego Bay. For bookings, dial 1-888-808-4123 today!